9ct Gold Marcus Garvey ring set with 7 emeralds. 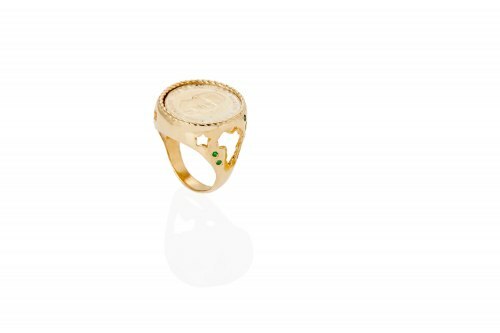 Featuring the continent of Africa and an array of stars beautifully scattered around the ring. Only 100 will ever be made. Each come with gift box, certificate and serial number unique to the wearer. Available in all sizes. A bespoke piece made to order. Please allow 2-4 weeks from consultation to delivery.